Do you remember in Back to the Future where Marty McFly’s family picture kept fading the more it appeared that his parents weren’t going to end up together? You know, when Marty went to the past? And the only way the family started reappearing on it was when Marty started playing “Power of Love” at the high school dance and he interrupted “Earth Angel” big time? 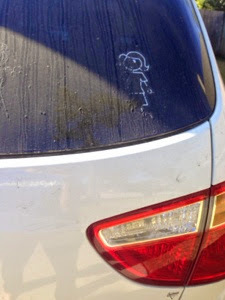 Well, that is sort of what I got going on on my back windshield. Only, it’s a windshield and not a picture and I’m the only person still clinging on for dear life. It actually works the opposite way, though. All of my sticker family members that have been removed are thriving. I’m the only one left and I’ll keep dwindling away until I finally get the thing off the window. My car be like “FOR THE LOVE OF GASOLINE, WASH ME”. This (rather bad Back To The Future) analogy came to my mind as I went outside to try out a new car cleaning product from Eco Green Auto Clean. As you can see from the above picture, my SUV was hurtin’. 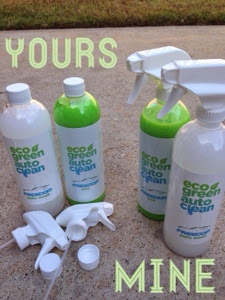 My friend’s husband (also my friend), Stuart Rosenkranz of GreenTouch Auto Care, is selling this spray that cleans and waxes your car fast, for cheaper than a car wash at the gas station (and MUCH cheaper than the stand-alone car wash places) and uses barely any liquid at all in comparison to the water used at those facilities. In fact, it uses ONE CUP OF WATER. Do you know how much is typically used to wash your car? FIFTY GALLONS OF WATER. 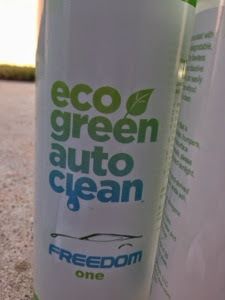 Much to my husband’s surprise, I went outside with my two microfiber towels (one to clean with, one to shine with) and my bottle of “Freedom One Green” (which is a cleaner and wax) to wash my car. I was only going to clean a little panel at first- just enough to try it out. It was so easy and kind of addicting, that I cleaned the whole thing myself. I think I was done in 30-45 minutes. Like the makers of the product says, it’s sort of like cleaning your kitchen counters. You don’t get wet. 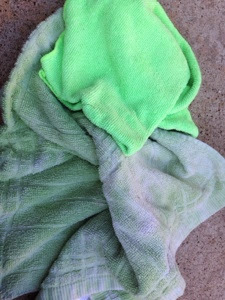 You just spray, spray, spray and wipe, wipe, wipe and shine, shine, shine (that’s basically wiping once more with the clean microfiber towel). I can handle that. Lord knows I’ve cleaned a lot of kitchens. 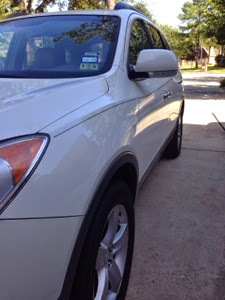 My mother-in-law came outside as I was doing it and marveled at how shiny the car appeared. She said she had just paid someone to wash and wax her car the day before. I think she paid at least $65. I think I used $10 worth of the product for the same effect. And a lot less water. I wouldn’t call myself a tree hugger. I do recycle and I do like trees. Don’t get me wrong. I’m just no fanatic. (I might actually hug a fig tree.) Still, the idea of something doing a great job cleaning my car that is cheaper than what I already do and that also uses tons less water seems kind of appealing. 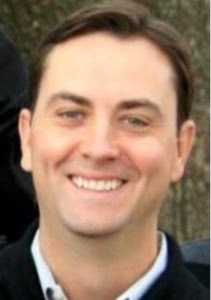 Stuart of GreenTouch Auto Care is the one that you can contact if you’d like to try it out. You can get in touch with him on his GreenTouch Auto Care Facebook page. He accepts PayPal and, if you are local and would rather pay in person, that can be worked out, as well. The “Auto Wash” is $17 and the “Freedom One Green” is $21. (Shipping is included in that price.) Most people can probably get 2-3 washes out of one bottle. I think I was a little overzealous with the sprays. If I repeated what I did the first time, I think I’d only get two washes out of the bottle. Next time, though, I’ll be much more reserved and a little less haywire. Stu gave me a couple to give away. So, I’m giving away one “Auto Wash” and one “Freedom One Green” (wash + wax). That means two people get something. Bam! This’d be the stuff he is giving away. Besides those products, there are also products to clean your car windows, your tires, the carpet and leather. They’ve got the clean, green car hook-up. I will pick the winner on Friday afternoon!